I’d been a student at Melbourne University and had a part-time job at the bookroom there. I’d gravitated to helping Mr McCarthy in the music department and discovered I had an affinity for selling music. I thought a record shop would do well in Lygon Street and, taking a leap as Ross had three years earlier in books, in 1972 I opened Professor Longhair’s Music Shop, named after the renowned New Orleans blues pianist. Like Readings, it was an immediate success, feeding off and contributing to the Lygon Street cultural scene. Ross and I had become friends over the years and in 1976 he came to me and said that he and Dorothy were moving to the country and asked if I would be interested in purchasing Readings. By that time I was beginning to tire of selling solely music and, after consulting Greg and Steve, we accepted Ross’s offer without quite knowing how we would pay for it. Fortunately, Greg’s family and my family stumped up the money and I moved into books. We added books to our shops in South Yarra and Hawthorn and changed the name to Readings Books and Music. I had a lot to learn. I had a bit of a handover with Ross, and Peter Reid stayed on for a few years; his advice was invaluable. Also, a number of Ross’s staff stayed on with us; Wayne Larsen was with us for another twenty-five years. 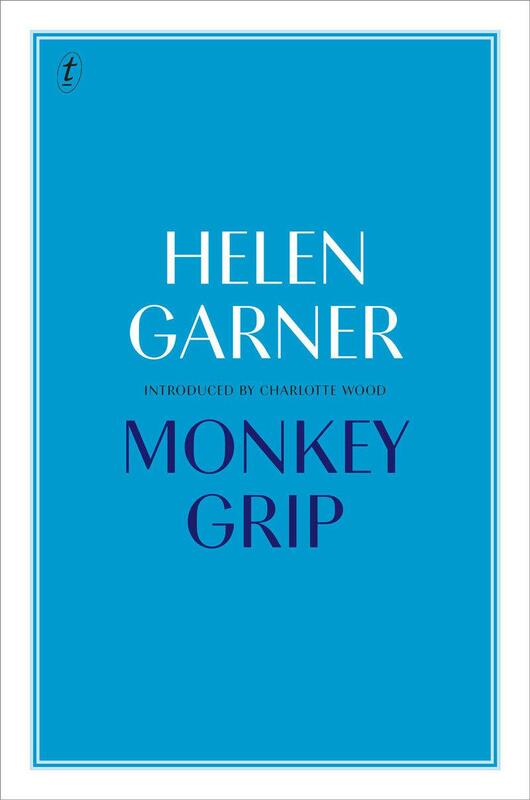 In 1977, Di Gribble and Hilary McPhee published Helen Garner’s Monkey Grip through their McPhee Gribble publishing house. Set in Carlton and North Fitzroy, with many of the characters based on real life, it became an instant hit; it also mentioned Readings, which gave us quite a thrill. It was the first Australian bestseller we’d had. Readings had initially, like Professor Longhair’s, specialised in importing hard-to-get books from America, and had paid little attention to the Australian publishing scene. Monkey Grip and McPhee Gribble were part of a turning point. In Fitzroy, Morry Schwartz, Fred Milgrom, Colin Talbot and Mark Gillespie had set up Outback Press with the aim of publishing new Australian writing and in 1979 Penguin appointed Brian Johns as its publishing director. Johns, a journalist, had also been a consultant to the Department of Prime Minister and Cabinet. It was a bold move but a great success as he was a daring cultural nationalist whose goal was to revolutionise the infant Australian publishing industry and he wanted to enlist everyone in his crusade – Readings wasn’t to be left out. Shortly after his appointment, Brian turned up at Readings unannounced; he wanted to know what was selling, what should be published, what I thought of this book or that publisher. In my three years as a bookseller, I’d never met a publisher, let alone one who was interested in Readings. Immediately, I knew that I wanted Readings to join Brian’s crusade; encouraging Australian writers and publishers became our mission and remains so to this day. Steve and Greg, to their credit, went along with this. From my early days selling imported records and then as a bookseller, I’ve felt it was also our job to provide our customers with what they wanted or what we felt they wanted. I also believe that governments shouldn’t stand in the way; that barriers shouldn’t be erected against culture and information. In the early ’80s it was often difficult for booksellers to fulfil this role as the copyright laws technically made it illegal for a bookseller to import books without the permission of the copyright holder – which was impossible in a practical sense. There were many books we knew we could sell that wouldn’t be available in Australia for many months, and sometimes never, so we brought them in. The government eventually recognised this issue and in 1991 changed the copyright laws to force publishers to make their books available more quickly. Before the change in law, we were mostly left alone, but there were occasional raids on our shelves. One amusing episode was in 1987 when the British government was successful in getting an injunction to prevent the Australian publication of Spycatcher, the memoirs of former MI5 operative Peter Wright. Acting for the publisher was a young lawyer, Malcolm Turnbull, and the case attracted huge interest. The book had been published in the US and I decided to capitalise on this and ordered copies from our American supplier; when they arrived I sent out a note to all the media I could think of informing them that I was going to sell copies of the book. The Sun (as it was then) was the only one to respond and the next day I discovered that I was on the front page, standing up for free speech, and soon after the rest of the media followed suit. Sadly, my order had been rather modest and we quickly sold out. Still, on receipt of a lawyer’s letter beginning with the words ‘We act for the British Government and demand that you immediately remove from sale the publication Spycatcher…’ I decided we’d made our point! I was encouraged to become involved in the Australian Booksellers Association by Michael Zifcak, the managing director of Collins Booksellers. In the early ’80s the ABA held their conference in Brisbane. At that time Brisbane was under the thrall of the conservative BjelkePetersen government. Robert Brown from the University of Queensland Press (UQP) told me that UQP organised poetry readings at the university and got ‘hundreds ofpeople’ along. If they could do it in Brisbane, I thought, imagine what we could do in Melbourne! Immediately upon my return I set about organising the first Readings event at the Universal Theatre in Fitzroy with Helen Garner, Gerald Murnane and Robert Drewe. Now, under the direction of our programming and events manager Chris Gordon, we do over 300 events a year. Our events program also led to the founding of the Melbourne Writers Festival. We have also had the pleasure of working with like-minded booksellers elsewhere. I became president of the Australian Booksellers Association in 1988 and when facing a political battle over copyright reform I enlisted Sydney bookseller David Gaunt to help me. We’ve been close friends ever since, united by our commitment to bookselling. We also forged alliances with other booksellers, such as Brisbane’s Fiona Stager and Suzy Wilson. Suzy is the founder of the Indigenous Literacy Foundation; I sit on its board and marvel at how Suzy’s dream now provides culturally and age appropriate books and programs to over two hundred remote communities around Australia. Throughout our fifty years we’ve encountered so many wonderful people: other booksellers, writers, publishers and our customers. Almost universally, we are united by the drive to make the world a better place through the dissemination of ideas, and to make it more enjoyable and stimulating through the wonderful stories we write, publish and sell. Whenever I travel, one of the places I always seek is the local bookshop, because I know it will be a window to that community. When Borders opened across the road from Readings Carlton, our community rallied around us, determined not to see us fail under the onslaught of the American giant. Many boycotted them and some passed little messages of hope; a long-time customer and friend handed me a crumpled note shortly after they opened; scribbled on it were the words ‘Livres Sans Frontières’. It became our rallying cry. When Borders closed, some of its booksellers crossed Lygon Street and joined Readings’ ranks. Since then, booksellers have faced the challenge of the internet and the rise of e-books. Despite this, we have managed to survive and I like to think that is because a good, well-run, well-stocked bookshop can provide treats and surprises that the online juggernauts will never be able to emulate. In a bookshop you can find books in a way that an algorithm can never replicate; in a bookshop you can have an interaction with another person, be it someone you bump into, or a bookseller from whom you can seek advice. They become focal points for their communities. As Readings turns fifty and I reflect on its history and my career, I do feel a touch of pride; I do feel that my colleagues and I have made a difference to our town through our nurturing of writers with events and prizes, through inspiring our customers, and through our philanthropy, working with the most disadvantaged in our community. We are, indeed, Melbourne’s own since 1969. As I near the end of my career, I wonder what will happen to Readings as my son Joe and his colleagues develop their vision for the future of Readings, and I hope it will be one of caring, innovation and fun.